GSL certifies a huge variety of coloured gemstones, providing in depth reports that outline the full Gemmological Properties of each stone. Gemstone Authentication Summaries and Gemstone Authentication Reports are provided for any cut gemstone analyzed by GSL. These reports refer to any notable treatments that may have been observed in the Gemstone, and also outline the Origin of a Gemstone where possible. 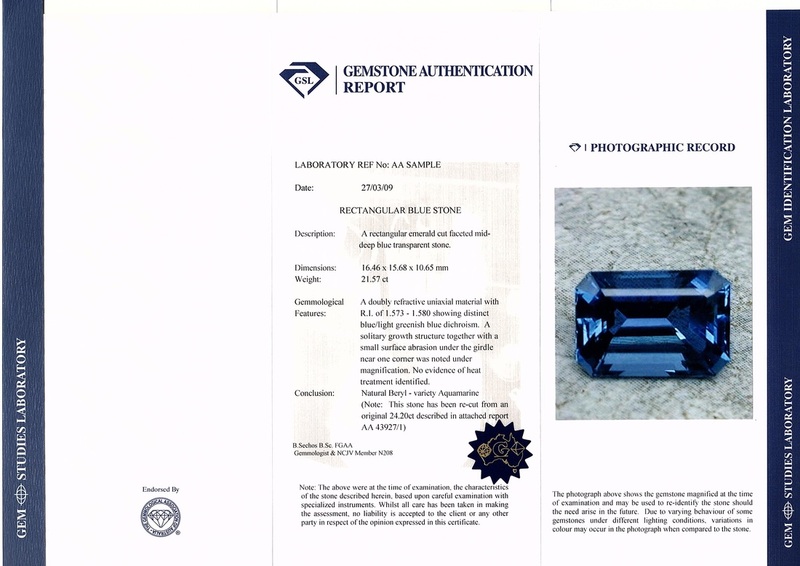 Gemstone Authentication Summaries are provided for smaller stones, while Gemstone Authentication Reports refer to larger, more significant stones, including colour change stones. 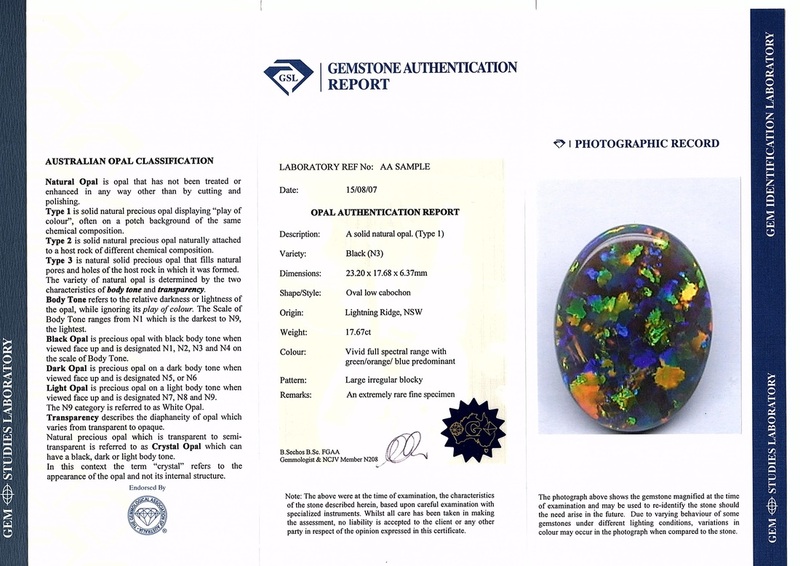 Opal Authentication Reports provide full gemmological properties of the stone, using nomenclature developed by the Gemmological Association of Australia, and adopted by CIBJO. Jade Authentication Reports provide full gemmological properties of the gemstone including disclosure of any treatments. Jade is therefore classified into Type A, B or C based on whether treatment has occurred.